Points of Difference | Blossom Organics, Inc.
What sets Blossom Organics apart? 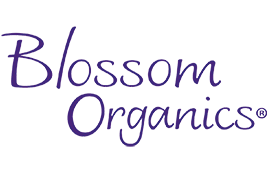 We know you have options when it comes to personal lubricants, so why choose Blossom Organics? Well, there are a lot of reasons! We’ve crafted our special Intimate Care Collection with your health and pleasure first and foremost in our thoughts. Keep on reading to find out how. Who better to create a sensual line of female lubricants and personal care products than another woman? Blossom Organics’ formula was created by a woman, with a woman’s unique needs in mind. Our female-friendly, all-natural lubricants have been designed with a pH balance that mimics a woman’s natural chemistry, to ensure your healthy well-being, beautiful intimacy and blissful pleasure. Blossom Organics strongly believes in making sure the products you put on your body are perfectly safe for everyday use. Our Intimate Care Collection has been formulated to use only the most naturally pure elements. We use ingredients that are certified by a USDA-approved agency and exceed the strict regulations laid out by California Organic Products Act (COPA) of 2003. Our all-natural intimate care products are made without harsh, controversial ingredients like parabens, petrochemicals, silicones, hormones or pesticides. We also stay away from drying alcohols and potentially harmful additives such as artificial fragrances, dyes and flavorings. And, of course, we do not use glycerin in our personal lubricants. We do this because we care. Try Blossom Organics Intimate Care Collection for yourself—we’re confident you’ll notice the difference.